Celebrate local entrepreneurship by joining us at our semi-annual Demo Day. The Inland Northwest is home to highly innovative and driven companies and Ignite Northwest strives to highlight the best in the region. Come support these remarkable companies and help us launch them into the community. These companies have been working diligently on all aspects of their businesses with help from our business accelerator and mentor network. We are thrilled to share their promising new ventures with you! Jake Godak - Apicem Rehability offers a portable, dynamic linear therapy and rehab device that allows accurate and reliable measurement and progressive treatment options for almost every type of impairment. Anthony Read - Exolox provides magnetically customizable metal storage furnishings kits and cabinetry utilizing innovative mechanical-locking joinery. Rob Allen - RangeMaster Shoulder Therapy will launch a live-streaming interactive medical exercise portal to increase engagement in home exercise programs and produce better outcomes for shoulder patients and insurance companies. Kelli Pearson - Real.Work.Life. is committed to creating a culture of well- being at work by bringing a mobile multidisciplinary team on-site to treat low back pain. Brian Garvey - VATA7 improves motorcycle rider safety by coupling a wireless transmitter to bright LED-signaling gear that helps riders be seen night and day to save lives. Chandler Goff - Wax is a mobile application bringing quality car detailing services to a client doorstep in the most efficient and convenient manner possible. Online registration for our Demo Day is now open at Eventbrite. There will be a networking session between the pitches and the ceremony along with drinks and hors d'oeuvres at the conclusion. Join us for this complimentary event using this link or the sidebar to the right! Ignite Northwest is announcing the launch of SparkTrack™, a new program that takes the core concepts of the full 12-week accelerator program, including direct mentoring, connections to subject matter experts, weekly project sprints (homework), and direct feedback from other entrepreneurs and condenses it down to a 4-week course specifically geared towards idea-stage companies. With SparkTrack™ entrepreneurs can use the proven experience of the full Ignite Northwest accelerator program to develop and refine their business model on the path to pitching for investment. The SparkTrack™ program is different from other early-stage support programs because it brings the advantages of a structured class curriculum, an open real-time feedback setting with other founders, three full-time business coaches, and business topics taught by regional leaders. The SparkTrack™ program is open to both entrepreneurs looking for pre-seed funding and those exploring other ways of building a minimum viable product (prototype). 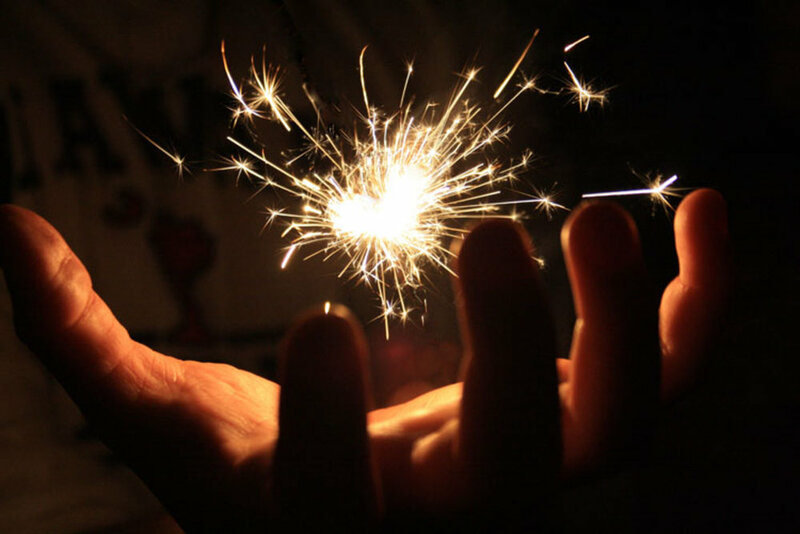 Those seeking pre-seed funding that successfully complete the SparkTrack™ program may be eligible to pitch to the Mind to Market, LLC (M2M) investors for pre-seed funding to allow them to build their minimum viable product. All participants of the SparkTrack™ program can apply to continue onto Ignite Northwest’s full accelerator program in the Spring. Ignite Northwest is excited to announce that Risklens is the first company to completely repay its Technology Growth Fund (TGF) loan. With this Ignite Northwest is now able to re-loan out the money to other Inland Northwest technology companies looking for debt financing. 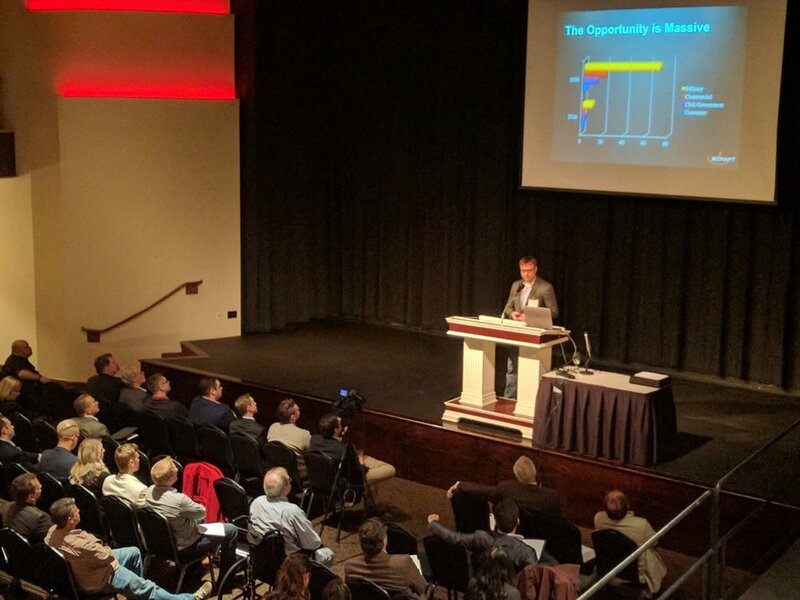 The mission of Ignite Northwest is to make the Inland Northwest the best place to develop innovative ideas and to provide resources for entrepreneurs seeking assistance in commercializing technology advances and concepts. In furtherance of this mission the TGF provides unique financing for “almost bankable” technology companies that have limited or no access to conventional bank financing due to their limited track record. Lack of work capital can cause otherwise viable new technologies to become stalled, delayed, or abandoned. RiskLens is the leading provider of cyber risk management software. RiskLens empowers business executives, risk officers and CISOs to manage their organization's risk from the business perspective by quantifying cyber risk in dollars and cents. RiskLens is the only cyber risk management software purpose-built on FAIR, the international standard quantitative model for cybersecurity and operational risk. Our goal is to revolutionize and become the standard way in which large enterprises & government organizations measure, manage and articulate information and operational risk. We will have food and drinks on-hand for the event. And since this is a mixer celebration this event will be informal so hang up that tie and celebrate with us. Register for this complementary event using bar to the right. After completing a 13-week program taught by 34 volunteer regional leaders in business planning, marketing, legal, intellectual property and more, the Spring 2018 class delighted the audience their presentations at the Demo Day graduation. The graduates now join Ignite Northwest’s collaborative network of alumni and mentors. Applications are open for our new FastTrac program starting in Fall 2018. This program is geared at earlier stage entrepreneurs and companies. · Acme-Endeavors- has designed a pickup cargo loading system that can load up to 1.75 tons (think Campers, ATVs, snowmobiles) into a pickup bed, safely, easily and consistently. · Genetic Veterinary Services, Inc- a service oriented animal genetics laboratory focused on educating and providing a variety of testing services to consumers, professionals, and businesses to improve the lifelong health of animals. · Golden Sherpas- a platform for seniors and their adult children looking for retirement communities, elder care management, assisted living and home renovation for the golden years. · Healing Local - an online networking and directory platform for health practitioners providing transparent and trustworthy reviews, improved referral efficiency and support for practice business development needs. · Moving Beyond Wellness- creates innovative exercise and therapy devices to help promote healing in the human body through increasing strength and flexibility. · Newcore Aviation- provides Innovative products and services for today’s manned and unmanned aviation needs. · Vivihue- building a social media platform that enables users to paint their faces with a wide variety of preexisting and "roll-your-own" templates and special effects. · RadMax Technologies- a research and development company that is developing and proving axial vane-type rotary “engine” devices for power, compressor, gas expander and pump applications. · RoboGnosis- provides custom autonomous robotic solutions that match today’s best available technology to its customer’s specific needs. · Share Farm- a free-to-use mobile app that puts the local farmer market at your fingertips by establishing a permanent local food system and neighborhood vendor network. · Unibest International- provides unique proprietary data layers to the agricultural marketplace while delivering new insights for sustainable/precision agriculture. Jason Giddings is a technology entrepreneur from our Fall 2017 cohort and has developed a novel replacement for a sliding glass door's screen door. 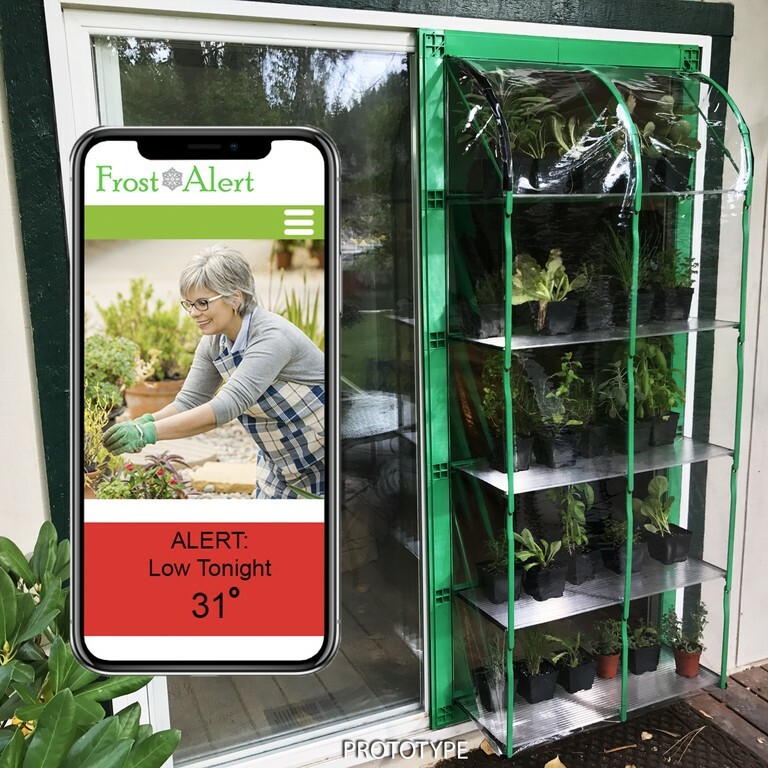 Named the ScreenDoor GreenHouse, his product replaces your screen door with a much more functional version and your sliding glass door still works as normal. Got a green thumb but no space for a garden? Got a shorter growing season? Just want your fresh gardening ingredients closer to your cookspace? The ScreenDoor Greenhouse solves these problems and possibly more, all the use cases are still waiting to be discovered. Jason has just launched a StartEngine (crowd funded equity) campaign to help make commercial production of his device a reality. Never heard of StartEngine? Read more about it here. Already know about StartEngine and ready to support Jason, even if it's just sharing the campaign? Click the image below. Ignite Northwest, the business accelerator for innovative companies in the Inland Northwest, is pleased to announce its sixth class. Eleven businesses will be participating in the program this session. This group of emerging startups is poised to be the next wave of fast-growing companies in the region. · Acme-Endeavors- sells portable vehicle underbody and heavy equipment washing systems/services and a pickup cargo loading system. · PaintMyFace- building a social media platform that enables users to paint their faces with a wide variety of preexisting and "roll-your-own" templates and special effects. Those companies not selected for the sixth class are encouraged to re-apply for the Fall 2018 session that will commence in August. Again, companies will be chosen for the 13 week accelerator to access a high-growth curriculum and mentoring in all aspects of building a business. They will further benefit by having personal advisors with industry expertise to help guide them as they build and grow their businesses. We’re excited to announce that the application period for the Spring 2018 Accelerator class is open. We received some great feedback from our last classes and plan improvements. If you haven’t seen the top takeaways videos of the program from companies that have been through the accelerator, you can view them on our Accelerator Services page. In case you need a quick recap of the program, Ignite Northwest's business accelerator is a 12-week program that provides business growth support through knowledgeable instructors and panelists, 1:1 business coaching, strategic and technical resources, and the development of a strong business canvas for your company. Why might you need an accelerator? We have a blog post about that here. If you are the CEO of an early stage business, or know of one that can use our help, come find out more about us at our accelerator homepage. Need more information or want to meet with someone from the Ignite Northwest staff? Email us at info@ignitenorthwest.com or drop us a line on social media. We all have a vision for the Inland Northwest to expand as a hub for business and technology—we are part of the collaborative ecosystem that cultivates and develops businesses in the region. At Ignite Northwest, we are Moving Companies that Move the Market, we look forward to working with you. After completing a 13-week program taught by 34 volunteer regional leaders in business planning, marketing, legal, intellectual property and more, the Fall 2017 class delighted the audience their presentations at the Demo Day graduation. The graduates now join Ignite Northwest’s collaborative network of alumni and mentors. Applications are open for the Spring 2018 class from now until January 2018. Johnston Engineering provides engineering design and engineering analysis services to biomedical, HVAC, thermal management, manufacturing and consumer product companies. MarketPad is a web-based marketplace platform built to show a better way to raise funds for local causes and charities with local businesses providing discounted deals and gift cards for global shoppers. S2 Media produces high quality culture microbiology media plates in the Pacific Northwest for use in academia, medical fields, labs, and has created a specialty line for testing cannabis. ScreenDoor-GreenHouse is an inexpensive greenhouse that replaces the screen on your sliding glass door, allowing you to slide your greenhouse to one side for plant access and the other side for normal entry access. Snacktivist Foods is creating handcrafted, gluten-free and worry-free dry-mixes for healthy families. Spiceologist is a US spice company offering innovative spice rubs and the freshest spices to consumers, chefs, and brick & mortar stores nationwide. SureLock Enterprises specialize in innovative technology and a Visible Lockout Device for the lockout/tagout safety industry. Tribus Enterprises is an innovator in the hand tool industry with new designs and creative technologies that increase professional mechanic productivity. A graduate of our Spring 2017 class, Safeguard Equipment, is running an Indiegogo campaign to help save lives in the rebuilding of Puerto Rico's electrical grid. They are raising money to get Safeguard Equipment's Compass product into the hands of the people who need it most. The Compass is a wearable device that can indicate the presence and directional location of live electrical circuits. As of today, still a majority of the people on the island of Puerto Rico are without power post Hurricane Maria. Both volunteers and electrical workers are working long hours to try to rebuild the electrical grid. Long hours can lead to fatigue, impaired decision-making and judgement, and reduced reaction times which can lead to very serious accidents. If you have been looking for a smart, impactful way to help support Puerto Rico's rebuilding effort, this is it. Please consider supporting Safeguard Equipment's campaign. Click the link below to be directed to their Indiegogo page. As part of Startup Week 2017, Ignite Northwest will be hosting its bi-annual Demo Day graduation event on November 17th. Come commemorate Ignite Northwest’s newest class graduating the accelerator using the registration box on the right. The Ignite Northwest accelerator is a business program crafted to accelerate the growth of early stage companies from around the Inland Northwest. The companies featured this session hail from Ignite Northwest’s traditional areas of northern Idaho and eastern Washington, also known as the Inland Northwest. During the 13-week program taught by regional leaders in business planning, marketing, legal, product development and more, the class participants reflected on their early successes and tailored their plans for future success with mentorship, connections, and business tools provided by Ignite Northwest. On November 17th, these companies will be presenting their newly-tuned businesses to the Inland Northwest community to bolster awareness and celebrate their efforts to take their business to the next level. Come celebrate with us at this free event. There will be pitches, a keynote speaker, networking, food, drinks, and opportunities to meet with these fantastic CEOs. Ignite Northwest, the business accelerator for innovative companies in the Inland Northwest, is pleased to announce its fifth class. Ten companies will be participating in the program this session. This group of emerging companies is poised to be the next wave of fast-growing companies in the region. Acme-Endeavors’ EZ Pickup system quickly and safely loads and unloads slip-in pickup campers, small offroad vehicles, and cargo sleds into a pickup truck bed within minutes. Green Eats Global is a B2B networking platform for the specialty food and commodities industry that makes the supply-chain simpler, transparent and easily accessible. S2 Media produces high quality culture microbiology media plates in the Pacific Northwest for use in academia, medical fields, labs, and the pharmaceutical industries. TidyHut, Inc. serves the outdoor sanitation needs of the military, the construction industry as well as festivals and public events by providing innovative, non-disgusting, tidy portable toilets. Those companies not selected for the fifth class are encouraged to re-apply for the Spring 2018 session that will commence in February. Again, companies will be chosen for the 13 week accelerator to access a high-growth curriculum and mentoring in all aspects of building a business. They will further benefit by having personal advisors with industry expertise to help guide them as they build and grow their businesses. We’re excited to announce that the application period for the Fall 2017 Accelerator class is open. We received some great feedback from our last classes and plan improvements. If you haven’t seen the top takeaways videos of the program from companies that have been through the accelerator, you can view them on our Accelerator Services page. In case you need a quick recap of the program, Ignite Northwest's business accelerator is a 13-week program that provides business growth support through knowledgeable instructors and panelists, 1:1 business coaching, strategic and technical resources, and the development of a strong business canvas for your company. Why might you need an accelerator? We have a blog post about that here. After completing a 13-week program taught by 34 volunteer regional leaders in business planning, marketing, legal, intellectual property and more, the Spring 2017 class delighted the audience their presentations at the Demo Day graduation. The graduates now join Ignite Northwest’s collaborative network of alumni and mentors. Locally renowned entrepreneur Dave Curry shared some life lessons from his entrepreneurial journeys. Applications are open for the Fall 2017 class from now until early August 2017. · ezIQ is an online system tool that easily nurtures relationships by systemizing the process of workflows, email templates, checklists, consolidated contracts, and reporting that is accessible from any device. · Hammr is an online platform that simplifies the connection of homeowners to quality home improvement contractors and professionals. · PerFIcT provides a platform for personal trainers to upload and market their fitness programs in a mobile app. · Safeguard Equipment provides a wristband that saves lives through detecting electricity and warning the user long before they come in range of getting electrocuted. · SchoolData.net delivers a software platform that integrates all student data sources, as a foundation for custom applications, to meet each district's particular needs. · Scorebook Live is a sports media & technology company servicing the high school sports market. · SnoSuite (Inland Alpine) designs, develops, and maintains mobile and cloud-based consumer and enterprise applications targeting mountain destinations and their respective customers via a geographically-contextual, inverted social network. · TriboTEX products reverse the aging of industrial machines and vehicles during normal operation by applying a hard surface coating to provide higher efficiency, longevity and lower cost of ownership with no downtime. Once again, congratulations to all the graduates, we wish you all the best! We are very excited to have Dave Curry join us as our keynote speaker at our Spring 2017 Demo Day. To provide a little bit of context around our excitement, we’ve put together a brief bio on Dave to share with you. Dave is a successful entrepreneur having founded, taken public, and exited three companies for nearly $1B and has over 30 years of combined telecommunications, energy and software industry experience. Dave co-founded Demand Energy a clean energy control system company with an emphasis on distributed energy storage/resources in 2008 that was acquired in 2017 by Enel Green Power. Prior to Demand Energy he was President and CEO of World Wide Packets, a point-to-point Ethernet switch vendor to Comcast, Clearwire, and AT&T that was acquired by Ciena in 2008. Before World Wide Packets, he co-founded Architel, a provisioning software telecom OSS vendor to Verizon, Cable & Wireless, BT, NYNEX, and GTE that was taken public in 1996 and subsequently acquired by Nortel in 2000. In 1996, Dave was selected Canadian Entrepreneur of the Year for his leadership at Architel. Come join us on May 3rd to hear from Dave and the CEOs of the companies graduating our current accelerator. These CEOs have been hard at work for the past 13 weeks ironing out their business models, competitive strategies, and, of course, their pitches. This complimentary event is your opportunity to meet and network with us, investors, entrepreneurs, mentors, innovators, executives, community partners and the greater entrepreneurial community. If you haven’t registered yet, do so now using the button to the side. Ignite Northwest, the business accelerator for innovative companies in the Inland Northwest, is pleased to announce its new class. A total of 10 companies will be participating in the program this session. This group of emerging companies is poised to be the next wave of fast-growing companies in the region. · IEOS is a biotech company dedicated to development of new therapeutics for rare genetic and neurological disease using novel approaches such as catalytic antibodies. · The Winston Center provides affordable, expert comprehensive care for ADHD and reading disorders for children and adults. Those companies not selected for the new class are encouraged to re-apply for the Fall 2017 session that will commence in August. Again in the fall new companies will be chosen for the 13 week accelerator to access a high-growth curriculum and mentoring in all aspects of building a business. They will further benefit by having personal advisors with industry expertise to help guide them as they build and grow their businesses. Those companies in the Tri-Cities should contact Fuse and those in northeastern Idaho should contact the Panhandle Area Council if they are interested in the Spring 2017 session. Also Ignite Northwest is looking for future partnerships to bring the Ignite Northwest accelerator to your region. Are you a young life science company, or know of one, in the Inland Northwest? If so, you may be interested in a couple of FREE events coming up on March 16th and 17th. Our partner, Life Science WA is teaming up with WSU-Spokane and Startup Spokane to host Ecosystem Connect, a networking event, and a 1 day boot camp course which will cover big issues that life science companies face like: funding, regulatory issues, IP/Legal, and market research. Tribotex is a technology company in our Spring 2017 cohort, we are very excited to have them in the program. They are a local company developing smart nanomaterials to prevent wear, reduce friction, and repair surface damage in machinery. Their technology has a wide range of uses and they have initially targeted industrial machines and internal combustion engines to commercialize the technology. The research is coming out of Washington State University and the founders have been awarded over $1M in SBIR Phase I/II (non-dilutive) funding from the National Science Foundation and other agencies to scale up the current dual-sided nanoparticle technology for applications in the broad industrial market. Tribotex is currently running a Kickstarter campaign to help create awareness and move into the first stages of production. Please visit their page to learn more about the technology and help spread the word either by pledging or just sharing the link with your friends. Many applicants have reached out and asked for more time to complete applications. Given the winter holidays, Ignite Northwest has decided to extend the timeline until January 28th. This provides two more weeks to get your applications finalized and submitted for consideration. If you have questions about your application or want to meet one of the Ignite Northwest staff to learn more about the program, please reach out to us. 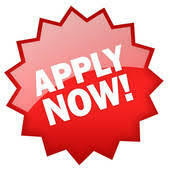 Submit your application here for the accelerator if you haven't done so.